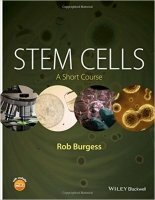 Stem Cells: A Short Course is a comprehensive text for students delving into the rapidly evolving discipline of stem cell research. Comprised of eight chapters, the text addresses all of the major facets and disciplines related to stem cell biology and research. A brief history of stem cell research serves as an introduction, followed by coverage of stem cell fundamentals; chapters then explore embryonic and fetal amniotic stem cells, adult stem cells, nuclear reprogramming, and cancer stem cells. The book concludes with chapters on stem cell applications, including the role of stem cells in drug discovery and therapeutic applications in spinal cord injury, brain damage, neurological and autoimmune disorders, among others. Written by a leader in the field, Stem Cells: A Short Course appeals to both students and instructors alike, appealing to academic enthusiasm for stem cell research and applications.